Are you looking for a way to make your home a little more appealing? There are many ways you can add some curb appeal to the exterior of your house. You can replace your front door, you can change up your landscape, or you can repaint the walls. However, have you ever considered complimenting your home with metal awnings? This is a great choice the professionals at Sundance Architectural Products strongly recommend. But, when it comes down to it, what is the difference between metal and aluminum? Our metal awning manufacturer is here to explain the difference. You can trust us as the best awning company Orlando residents trust. Awnings can add value and curb appeal to any home. They are not only attractive but also prevent damage from sunlight. Awnings allow windows to be left open in the rain and can enhance the value of your deck or patio by making them usable during heavy rain or sun. They can also protect wood doors from water damage. While canvas remains the more traditional awning choice, many people today opt for metal or aluminum awnings instead. When it comes down to it, what is the difference between aluminum and metal? Metal awnings tend to be made of copper, which is one of the sturdiest metals used in construction. Therefore, top quality metal awning can last for up to 30 years. Metal awnings can hold up against sleet, snow, and hail and some models are even able to withstand hurricane-strength winds. The metal awnings also age well and develop an attractive sheen over time. However, treatments are available for metal awnings for homeowners who prefer their awning to maintain it’s original finish. Metal awnings require little or no maintenance at all and do not rust. Metal awnings are available in a wide variety of designs and colors, so they are relatively easy to match with most home exteriors. The only real negative of metal awnings is the higher initial cost, as compared to aluminum awnings. 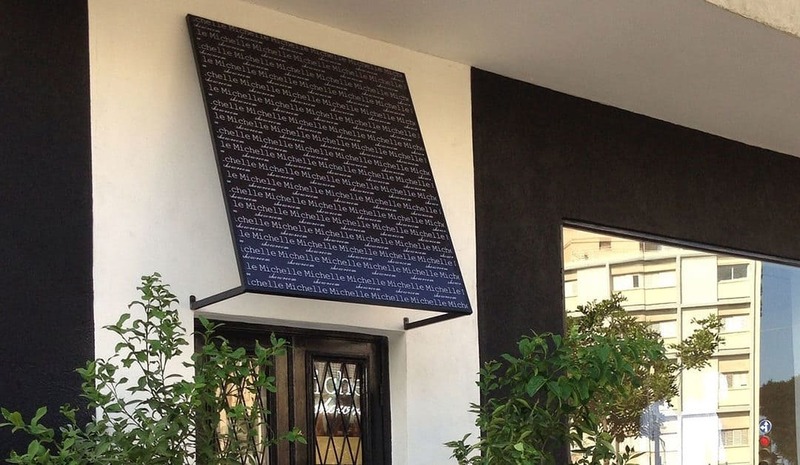 However, the durability of these awnings can certainly make up for the increased price. Because they require no treatment or maintenance whatsoever and can last up to 3 times longer than aluminum awnings, in the long run, metal awnings tend to have a lower total cost than the aluminum awnings. Among the pros of aluminum, awnings are that they tend to be less expensive than metal awnings, especially smaller aluminum awnings that are available in traditional sizes and shapes. Aluminum is also more environmentally friendly than metal, and aluminum awnings are lighter weight and easier to install than metal awnings. Aluminum awnings can also be attached to almost every conceivable exterior. On the downside, the aluminum awnings require more maintenance than the metal awnings do. The aluminum tends to be more easily dented than metal and aluminum rusts. As a result, aluminum awnings require a waterproofing treatment. They will also require careful attention to make sure that rust does not become a problem since they are constantly exposed to rain. Also, aluminum awnings are usually rigid and fixed in one place, although retractable models are available from some retailers. Finally, because aluminum has a modern appearance, it may not work with the exterior design of more traditional homes. Get a brand new awning today with our metal awning manufacturer. It is sure to spruce up your home better than you imagine. Sundance Architectural Products is the best awning company Orlando can trust. Call or visit us online today for more information.